2018 signified over a decade of service provision to the Wills and Probate Profession by the National Will Register. It was another progressive year where the number of Wills registered again grew significantly and the amount of unknown Wills being discovered through a Certainty Will Search also increased and continued to provide unprecedented protection for all involved in the distribution of an estate. Below is a review of a number of relevant points. The highest amount of Wills registered on a single day in 2018 was 47,327. It is anticipated that in 2019 the year-end total will rise to 8.5 million. Last year’s hot data topic was new regulation surrounding GDPR. Leading QC Timothy Pitt-Payne provided an updated opinion verifying that Will Registration is GDPR compliant and does not need client consent (copy available on request). 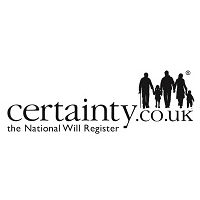 The Official Solicitor now requests that a Will search using Certainty the National Will Register is undertaken in Court of Protection matters and confirmation in the form of the Will Search report is supplied. The objective is to prove the last Will has been found or be absolutely sure a Will was not made. To support this a digital platform has been provided where a professional deputy can undertake the required search. The National Will Register is involved with a new service enabling people to report the death of an individual to several major financial service providers at the same time. This service runs in parallel with the GOV.UK operated Tell Us Once service that informs governmental organisations. The free, online Death Notification Service is available to anyone who wishes to notify, in a single step, one or more-member organisations that a client has died. The gateway service provided by Equiniti aims to make the process easier for those who have suffered a bereavement by relieving the stress and burden around repeated notifications and searches. The highest reported amount of probate work, due to their Wills being registered, by a single firm was 86 probates in 2018. The firm stated that if their Wills had not been registered, then they would not have won the probate work (in the majority of cases, they would not have known their clients had died). Over 8,000 professionals used The National Will Register back office system in 2018. The new auto Will review notification function went live allowing users to set and send Will review reminders to clients at predetermined time intervals. The National Will Register web site had over 115,200 visits from members to register their Wills or search for Will in 2018. The public reported that they used Certainty Will Search mainly because they were unaware of who holds the Will for a loved one or believe a later Will exists. The legal professionals reported the same but in addition used Certainty Will Search to prove the last Will, confirm a Will doesn’t exist when the estate is claimed to be intestate and when acting as a professional executor. 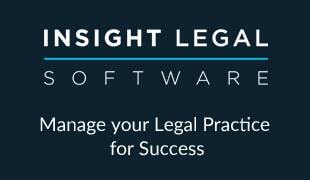 With inheritance disputes on the rise, two new areas are available to the public and solicitor members of the National Will Register. 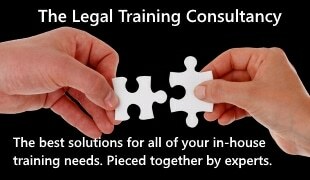 The Certainty Contentious Probate Hub & Area helps the public and legal professionals understand if they are in a potential contentious probate situation, when and how to use a Certainty Will Search to clarify the last Will/no Will position and a platform to interact with contentious probate specialists. The National Will Register and the Gazette continue to work closely together providing Certainty Will Search and Section 27 Deceased Notices. Both platforms will be updated with additional resources in 2019. One in ten searches carried out in 2018 resulted in an unknown Will being found i.e a Will thought not to exist/never written or a later Will than the one being used to distribute the estate.